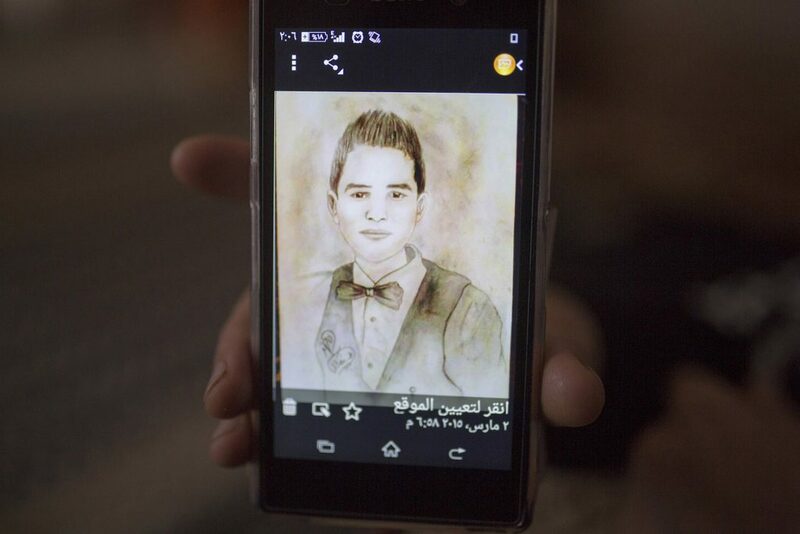 A drawing of Yousef (15), made by one of his friends. At 2.30am, on Thursday 21 August, Israeli warplanes fired nine missiles targeting the house of Nasser Hussein Kullab. Two families, comprising 14 members, were living in the house, which had three stories and was about 200 square metres. The house was completely destroyed in that bombing, and six adjacent houses were severely damaged. 12 people were killed in total, including three leaders of the al-Qassam Brigades who were in the targeted house. 54 other people were injured in the attack, including 22 children and 16 women. 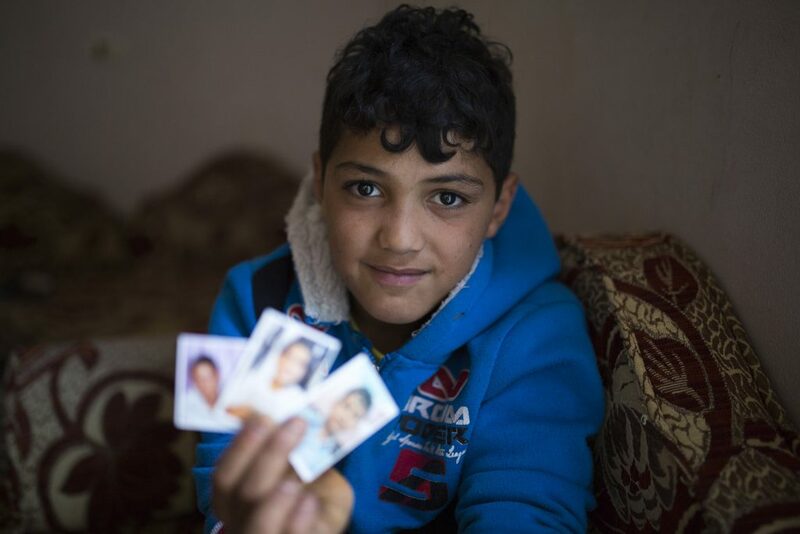 Photo: Mustafa Nasser Kullab (7) is holding photos of his three brothers, who were killed in the bombing of their house. Mustafa wasn’t home when the airstrike took place, he had left an hour earlier together with his cousins to visit his uncle.